Universal Spotting Scope Mounting Bracket.. any good? Thread: Universal Spotting Scope Mounting Bracket.. any good? Anyone used one of these? I have a Samsung S8 and indefinitely borrowing an Swaro ATS 65mm spotter. 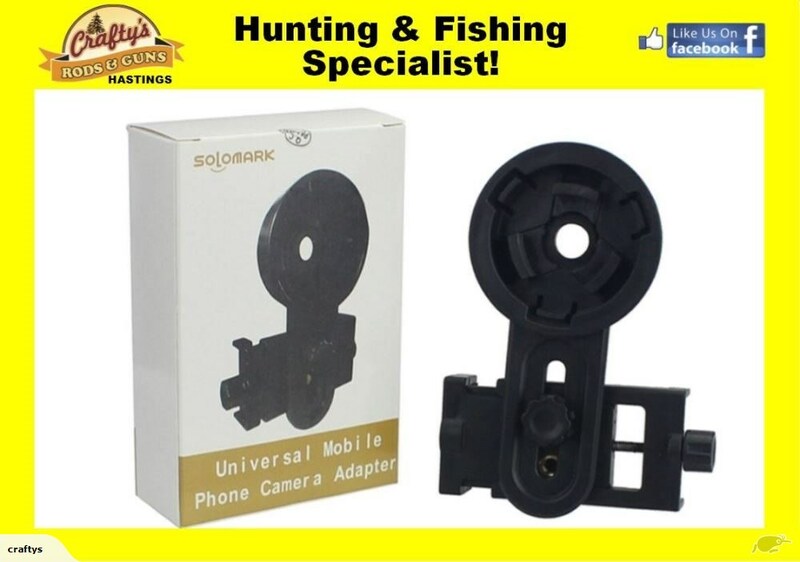 Not keen to get a phoneskope as they cost a fortune and are specific to phone model and spotting scope model. They do work however they're a bit fiddly to set up. If you have time to muck about on the hill then yes, you can get some photos via your phone. I would recommend spending some time at home getting used to it first. I've taken photos with it attached to my binos. I saw a similar setup (phone mounted on spotting scope via similar mount to the one above) at the range a day or so ago. Really good for spotting target shooting. Correctly set up,it would make the shoot/analyse/adjust/shoot process very quick. Get a cheap case from 2 dollar shop then glue a waste pipe cap to it, once have drilled a hole, fits the swaro perfect little bit fiddly to get glue in right spot but once sorted it's very quick to chuck on and off scope.